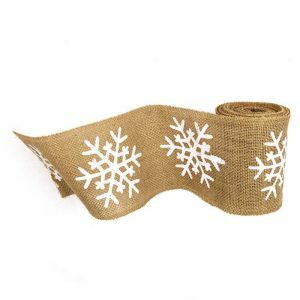 We offer more than 100 burlap decor items, including 30+ burlap window treatments and a dozen burlap home accents. 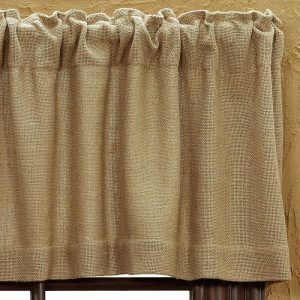 Probably our most popular burlap country decor item of all time is our Burlap Natural Valance. 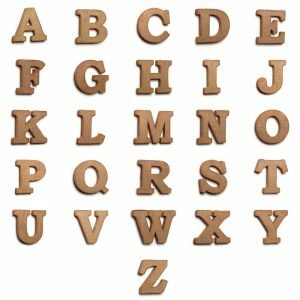 It has been a customer favorite for years because it coordinates so well with a variety of country decor patterns. 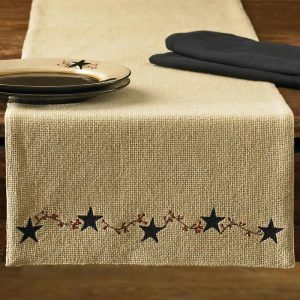 Our Burlap Star collection has some lovely pieces for a rustic or farmhouse kitchen and coordinates perfectly with the Star Vine ceramics. 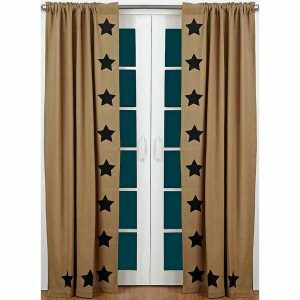 Shop the entire Burlap Star collection. We also offer burlap accents for our bedding collections, including (cotton) burlap pillow cases and burlap pillows and shams. 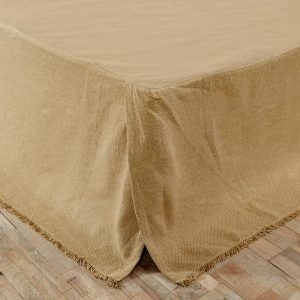 The burlap solid bed skirt makes a nice rustic touch to nearly any of our quilted bedding sets. 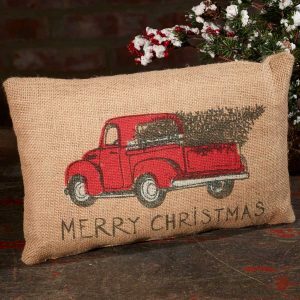 We love us some burlap Christmas decor! Hope you’re ready for the holidays, because we’ve already added some new items for this season. 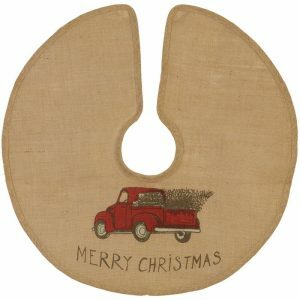 Red Truck Christmas Pillow and matching Red Truck tree skirt. 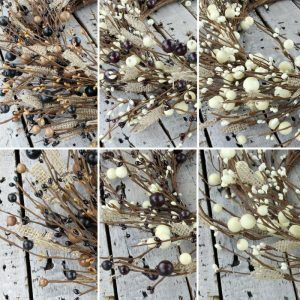 Shop our Burlap decor clearance items. 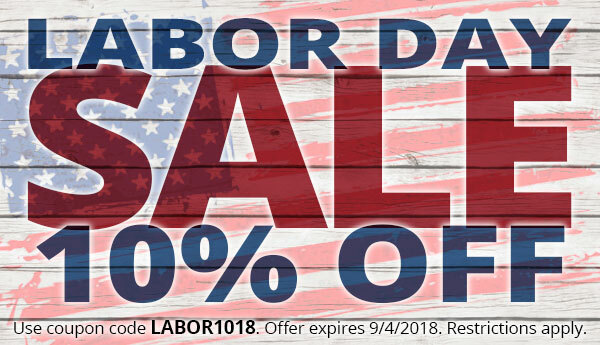 Don’t forget to shop our Labor Day sale and use coupon code LABOR1018 to save 10%! Sale ends 9/4/18. Subscribe me to blog updates!